Take homemade chicken soup to aromatic new heights by adding rosemary to the mix! 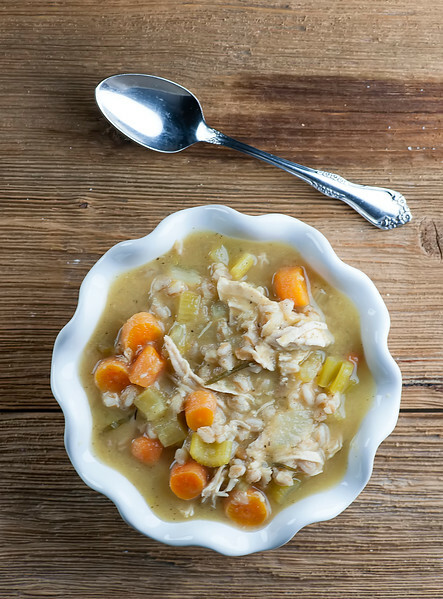 This easy comfort food recipe for rosemary chicken soup is ready in under an hour, making it a perfect hearty winter weeknight supper. 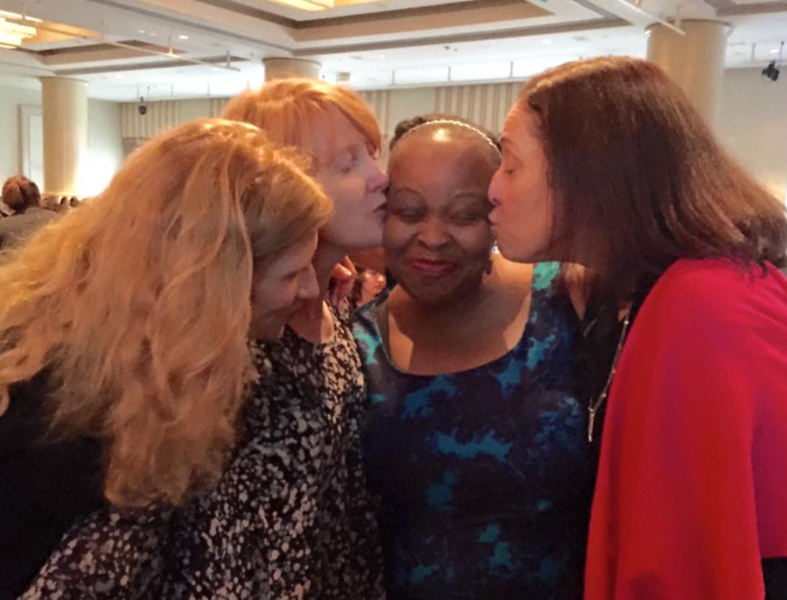 My friend Rosemary is Rita’s dear friend and editor, which is how I got to be good enough friends with Rita that I get to smooch her on the cheek when she wins awards for her books, which happens on a regular basis. 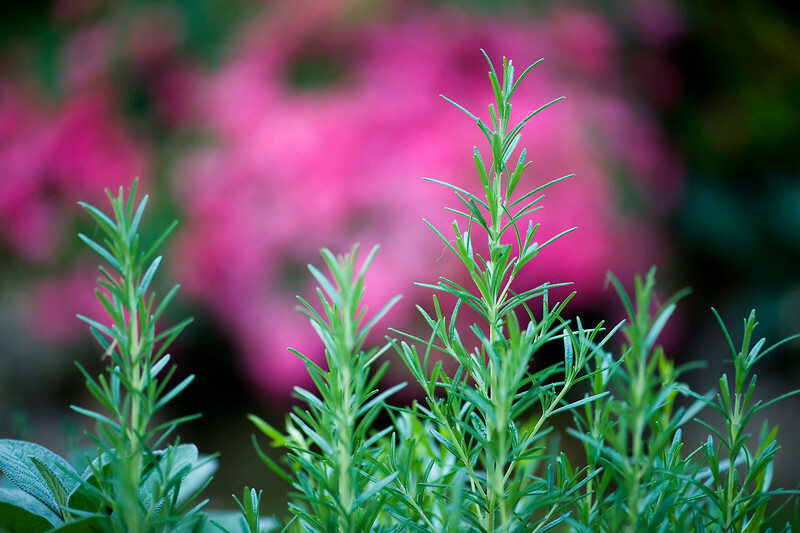 Which just proves my point that Rosemary in all forms is a wonderful thing. Which brings me back to this soup. 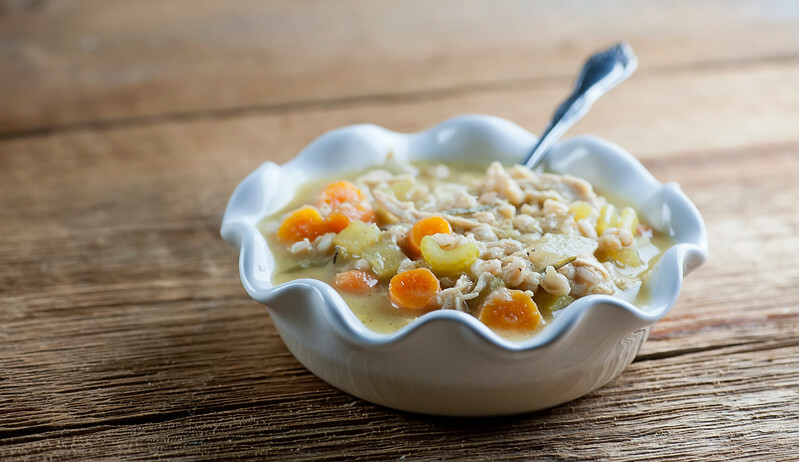 It starts out as a straightforward chicken soup, full of carrots and celery and sweet chopped onion. It gets even better with the addition of either barley or farro – both are hearty and delicious grains that give this soup just the right amount of substance. But simmering it with fresh rosemary leaves is what takes it over the top to soup perfection. And I highly recommend getting yourself a wonderful friend named Rosemary to go along with it. Delicious all the way around! Put the olive oil in a large deep pot and heat over medium high. Add carrots, celery and onion and stir until onion is softened, about 5 minutes. Add chicken broth, lemon juice, poultry seasoning, chicken breasts and barley or farro. Bring to a simmer. Strip the leaves from the rosemary and add to the soup. Cover and simmer for 30 minutes. Remove the chicken with a slotted spoon and shred into bite sized pieces. Return to the soup and stir. Serve in warmed bowls. This is a soup that gets better over time, so make sure you make enough for leftovers! I am so touched by this, Kate! Thank you! What a sweet and lovely post. And I will go ahead and make this delicious-looking soup! Soup for breakfast is one of my favorite things! I adore Rosemary! We grow it in the summer and cook with it all season. Lovely on steak too. This soup looks so comforting and would be perfect right now on this cold, snowy day! It’s right up there with basil as one of my favorite herbs! I got the bowl ages ago on the sale table at Anthropologie – I just checked their website and they don’t seem to be carrying it anymore, but they have lots of other pretty bowls! Do you use skinless chicken breasts? Nothing hits the spot better than a nice bowl of hot chicken soup when you’re sick or just whenever really! I love the addition of the rosemary Kate! I like that you added barley to your chicken soup instead of the usual noodles. I do love barley! And farro. Good and good for you! Chicken and rosemary is a combination that I’ve liked for a long time. This is definitely a comforting soup!